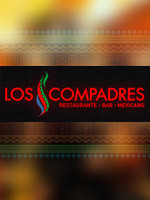 Los Compadres invites you to taste the proposals of its rotisserie-cafe with delivery service and instant takeaway, two of its more demanded services. Its menu presents a representation of Mexican cuisine and a wide range of milkshakes and sandwishes. A small cozy place for friends, family and sunday strides.